This is a poem I wrote for my husband to celebrate our ten year wedding anniversary. Here it is another day, and I'm sitting at my laptop without much to say. This doesn't mean I'm not thinking a million things, but somehow, the process of putting words together that would make sense to anyone else is not going according to plan. One reason I began blogging to begin with was to improve on this very subject. I have so many thoughts swimming around in my head, but I have trouble picking one out and translating it into something interesting I can share. Like all things in life, it takes practice. So here I am, doing what I always do when I don't know what to do -- I write. Several things have happened to get to this point. Last week was my daughter's mid-winter break from school, which means we've been crafting and playing all week and I haven't been doing my normal productivity routines. Of course I could write about that -- the fun break from our normal routine or the necessity of routine for productivity. But I have no passion for those topics, at least not right now. I'm writing on my novel heavily right now. I'm having a really great time with it too! The story is written, I'm working on the editing portion of it. It is a slow process, but I am beginning to see how the story will come together in the end. Additionally, it is great practice in my writing process. I'm still learning how to manage an extended project, so any progress that moves me forward is a victory in this area. I could write about this as well, and I may, but not today. Today, I just want to be in the moment. However, my mind is blessedly not on overdrive today. I feel calm and peaceful; however, that does not lend toward productivity. After a week with a laxed routine and lots of fun and rest, it is nice to feel refreshed in my mind and body. It also means I have to get back to my habits. I love those days where I can go through several projects and push them forward with confidence and intention. If I'm honest though, that happens for about three days every two weeks. I wish it were more consistent, but it isn't, even with the productive routines in place. The rest of the time, I just make it work. Or I ramble on because I have things to say, they just aren't tidied up into a nice headline and bullet points. Maybe I just want to talk for a minute without having to tie it all up into a nice neat bow. 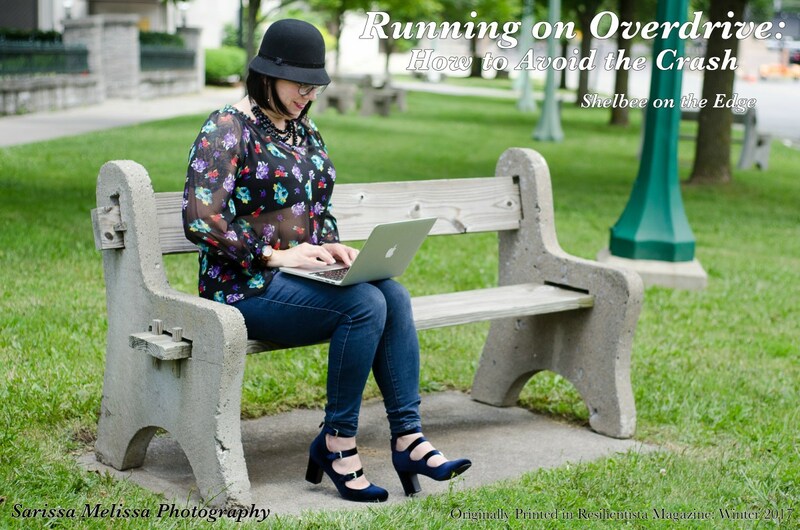 I've been thinking a lot lately about why I blog and what I want out of the process. I'm not really in this for the page views. I mean, don't get me wrong, I really appreciate every single person who reads my writing, especially when you respond in some way so I can connect with you. I really enjoy that part, the building of community. However, I don't want to create click-bait articles and gimmicks to prompt someone to view trivial articles. I want to create substance and be proud to share my perspectives with the world. I want to put myself out there and see what happens. Of course, developing articles, writing and editing all take precious time. The blog is important to me, but so are several other things in my life including my novel, my family and myself. I need to find a balance. That is the trickiest part of it all. I am going to write more on my blogging goals soon because those thoughts have been circling in my head for a couple weeks now. However, that is not today either. I like the blog being a place where I can develop ideas, I can share research about things that interest me and I can discuss things going on in my head, my life or the world. Do you ever have this problem? Days where nothing seems to come together just right? I try to keep ideas flowing and inspiration in front of me, but some days, it just doesn't convene easily. My solution is to write. Kind of like Dory in Finding Nemo... instead of "just keep swimming, just keep swimming," I "just keep writing, just keep writing." I am working on being in the moment more. For me that means to let it flow. That works for writing, yoga, projects and life. Keep moving forward and trust the process. And above all else, just keep writing! The weather these days can't decide what it wants to do. This week we've seen snow flurries and more grey skies. One morning when I looked out the window, I was blinded by a minute. 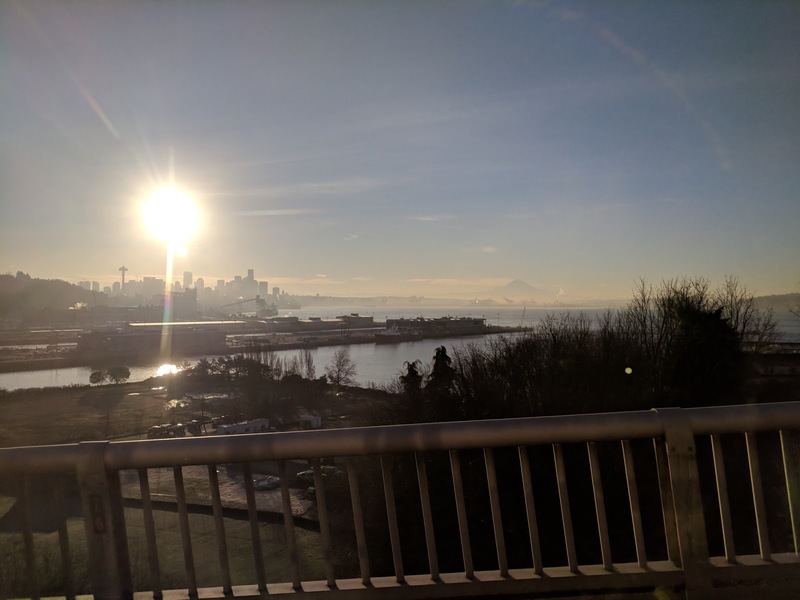 The sun is at time a rare sight in the Pacific Northwest this time year. I was thankful to not only experience this moment myself, but also to be able to capture it to remember later when the clouds cast shadows on my joy. 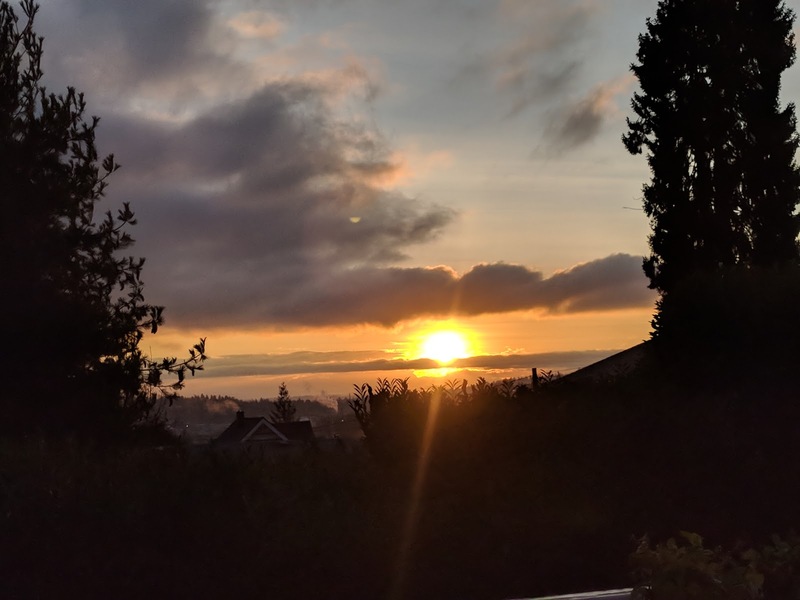 This photo presents the sun rising over the Cascade Mountains. Today is President's Day! And there's a little more to celebrate than just a good sale at Macy's. 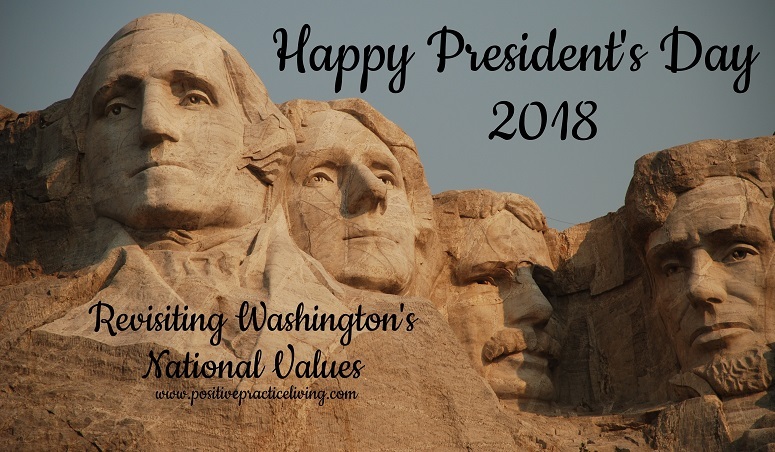 President's Day was established in 1879 to honor our founding father and first president, George Washington's, birthday on February 22. Over time, the holiday came to include 16th president, Abraham Lincoln's birthday, which falls on February 12. Eventually, the observation became a celebration of the current president as well as all of those who came before and the their efforts to serve our nation. In 1968, Congress passed the Uniform Monday Holiday Act to “provide uniform annual observances of certain legal public holidays on Monday.” The idea was to create 3-day weekends allowing “substantial benefits to both the spiritual and economic life of the Nation.” Now President's Day, or Washington's Birthday, is observed on the third Monday of February. President's Day represents a Federal holiday giving all government employees the day off. This means banks, post offices, council buildings, public works offices and schools will be closed. During this day of reprieve, I offer a reflection of our nation's founding father and first president George Washington. He had the recently founded nation's best interest at heart and served as president with outstanding values. These principles guided our nation's formative years and are worth revisiting as we forge the future. Washington was a reluctant candidate for the presidency. However, his countrymen had full confidence in his leadership abilities and he was unanimously elected by the electoral college. Washington remains the only president to receive the totality of electoral votes. As a previous delegate from Virginia and an American Revolution General, Washington had great experience when it came to leadership, organizing people and being the face of a revolution. He was a skillful strategist and a persuasive speaker. After being elected, Washington knew that it was up to him to define the precedent for the presidency. He was very aware of this and made many of his decisions with the future of the young nation in mind. Washington wanted to be addressed as "Mr. President," as opposed to some of the more majestic names proposed by the Senate. He also instated the cabinet form of government and set the traditional function of giving messages to Congress. He also reluctantly accepted a $25,000 year salary (equal to about $340,000 in 2015), which would allow any person to serve in the office, not only the independently wealthy individuals who could manage without any salary. Washington set a standard as president for the tolerance of opposing voices. He was an excellent delegate and a good judge of character. He would talk with and listen to guidance from his advisers before making a final decision. Once he made the decision, he had the authority to expect it to be respected from all sides because ultimately he led with reverence to the common good of all. He respected the opinions of those he trusted, but Washington was also very decisive, orderly and energetic. All of these qualities made him a great leader. "In view of the perilous condition of the country, I think the time has arrived when we should recur back to the days, the times, and the doings of Washington and the patriots of the Revolution, who founded the government under which we live." Another hundred and fifty years later, and this opinion is appropriate once again. Washington’s Farewell Address was issued as a public letter in 1796 and was considered one the most influential statements of republicanism. With help from Alexander Hamilton and James Madison, Washington drafted his "Farewell Address" and delivered it to the people of the United States on September 19, 1796. Within his farewell address, Washington gave advice on the necessity and importance of national unity, the value of the Constitution and the rule of law and the proper virtues of a republican people. He also encouraged friendship and commerce trade with other nations, but to not get involved in foreign affairs. In the same ethos, he advised against foreign influence in domestic affairs. Washington was not a member of a political party. In fact, he hoped they would not form. However, he could sense the eventual formation of rival parties while witnessing his cabinet members debate over sharply divided views. These two factions formed by his closest advisers set the framework for the First Party System. George Washington was a strong leader who guided the United States with a great foresight about what our nation needed. As a founding father, war general and first president, his overwhelming reputation impressed the American people. He became a international icon for liberation and nationalist and he was a great exemplar of republicanism. A country that was very young in Washington's day, has gained much experience and history over the last two hundred years. In respect for President's Day, I offer this look at where our nation began so we can let those foundations guide us as a nation moving forward. The America we live in now is almost unrecognizable from Washington's day. Not only by the numerous technological advances, foreign and domestic diplomacy, and social policy, but also the values advocated for by our current President. In light of recent national tragedy, the pressure for United States Gun Law reform is at a high concern for the people. President Trump has little action in regards to this issue. However, Washington states: "The basis of our political systems is the right of the people to make and to alter their constitutions of government." Washington reminds us as a nation, that times and issues do change over time and we must manage the common concerns of the people. Foreign policy is another area where Trump is sliding further away from Washington's advice to avoid interference by foreign powers in the nation's domestic affairs. Washington's warning of the dangers of political parties seems to have come to fruition: "It serves always to distract the public councils and enfeeble the public administration. It agitates the community with ill founded jealousies and false alarms, kindles the animosity of one part against another, foments occasionally riot and insurrection. It opens the door to foreign influence and corruption, which find a facilitated access to the government itself through the channels of party passions." We are witnessing history in these very dynamic years of our nation. Yes, the world is a lot different in our current era. It is hard to guess what kind of leader George Washington would be in today's society. However, many of his cautions have been disregarded and now we are living with the very consequences he foretold. There is a lot to learn when we go back to the beginning of our nations history and remember why we fought so hard for our independence and our way of life. President's Day seems like a good time for a reminder of where we come from as we continue to prepare for the future. Perhaps it is time to rethink our values as a nation and decide who we want to be. I was out yesterday and noticed the American flag at half mast. I thought to myself, "this can't be good. What's happened now?" Curiosity got the best of me and I found out. Another school shooting. One of the worst to date. My heart goes out to the students, faculty and community surrounding Marjory Stoneman Douglas High School in Parkland, Fla.
On Wednesday, February 14, 2018, just before the end of the school day Nikolas Cruz (who confessed to his crime), took an AR-15, he legally acquired, and opened fire at Marjory Stoneman Douglas High School killing 17 students and faculty, injuring 15 more and changing the lives of the community forever. Friends and Family pay tribute to Parkland school shooting victims. First came incredible sadness. The loss of so many in a senseless act is devastating. The students who no longer have the opportunity to follow their dreams, the instructors who sacrificed their own lives to save others, the family and friends left to grieve the grotesque tragedy leaves a hole in my heart. I did not know these beautiful souls, they are over 3,000 miles away from me, and yet with the wonders of social media and connections of the Internet, I can share their pain because we are all connected, near and far. Next came an anger that I did not expect in myself. Another school shooting? Really? We get to go through all of this again. I still remember the the Sandy Hook massacre (2012), Virginia Tech shooting (2007), and the Columbine Massacre (1999). That covers every academic level -- college, high school and elementary school. If you really want to see something depressing, the list of violent encounters in schools in the United States is outrageous and increasing. During the entirety of the 19th century, there were 28 school shootings. The 20th century brought a total of 227 school shootings. This century, we are already at 208 school shootings and we are only 18 years in. This is unacceptable. I have a daughter in public school, I don't want her to fear a place that should be safe. Here's something I can't get out of my head...these kids can never unsee the atrocious things that happened that day. There are even several accounts of video footage on the scene thanks to cell phones. In response to the emotional turbulence of the event, the school district superintendent, Robert Runcie, has declared that the building where the shooting occurred will be torn down. It is that loss of security that really devastates. When a place you felt safe gets attacked, it can shake your entire world. Something different is happening after this catastrophe. Yes, people are mourning, but they are also calling out for action. Why is this happening? Why does it keep getting worse? And what is being done about it? People want answers and demand reform. Even students want to stand up and defend their right to feel safe in their school. Nearby, South Broward High School, gather outside of their school to protest gun violence this morning. We, as a society, are no longer sitting quietly for the next victim. Heads are turning to President Trump and Congress to make some overdue changes to the law. 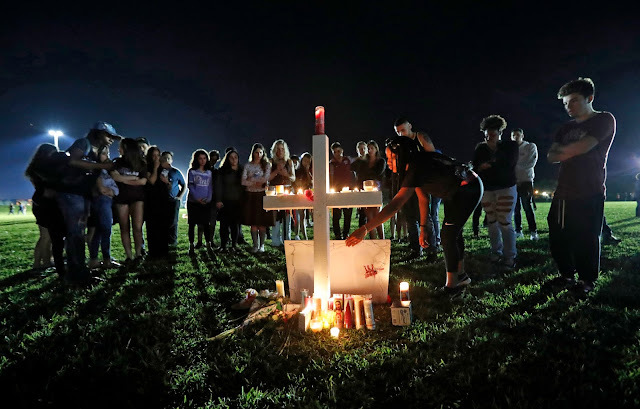 The call has been cast in wake of the Parkland School tragedy for extensive background checks and mental health evaluation before gun purchases, elimination of the gun show loophole and to stop lobbying from the NRA. Yes, there is only so much Congress can do about a mentally disturbed person intent on destruction. However, any action that could reduce the obtention of fire arms and the aid for mental health issues is a step in the right direction. Florida's U.S. Senator Marco Rubio, in particular, has seen push back from the community about gun laws following Wednesday's deadly shooting. Rubio is in the top ten for Congress career funding from the NRA at over 3 million dollars. This information, along with quotes like, "Gun restrictions would not have prevented the mass shooting," has the community wondering exactly where his priorities are. Their protest is presented in the form of Billboards placed near his office in Doral, Fla. The Congressman is not the only shortcoming in this story. The FBI admits to falling short in following up on the multiple warnings about gunman Nikolas Cruz and his "desire to kill." Heads are also turning to President Trump for support and change. Trump visited hospitalized victims and stated his plan to initiate mental health awareness. And yet, the President still remains silent on the lax restrictions of gun laws. It seems the White House's legislative action on firearms is coming into question. I don't know what it means, but it is interesting to note that the Parkland School massacre has been one of the first in a very long while where the perpetrator was not killed or commit suicide during the act. In fact, it was confirmed that Cruz, who was previously expelled from for disciplinary reasons from the school, went to Walmart, got a drink at Subway, and then went to McDonald's after his six minutes of destruction on campus. He was apprehended while leaving McDonald's without incident. So here we are on the other side of another mass shooting. It is not only schools--it's concert venues, nightclubs, and even churches. The list of mass shootings in America is getting longer and more deadly. When I feel helpless, I do research. Knowledge is power and there are many facets to this story, which seems to still be unfolding. I've never been very active in the conflict over gun laws. In many respects, the ability to own a handgun or a hunting rifle makes sense. However, these mass shootings are happening more often with semi-automatic weapons, which have no place in our communities. At this point, I see two very important lessons to learn from all of this. One, tragedy is often a catalyst for change. I, with millions of others, mourn the loss of the 17 people killed, 15 people injured and hundreds directly affected by the Parkland School Massacre. But their deaths are not in vain if it causes a rise to reform gun laws, assess mental health and bring awareness to the necessity of change. The second lesson I see is to live in the moment. Tell your family and friends that you love them as often as you can. Tragedy happens too often by malicious intent or just freak accidents. You never know what moment will be your last. Make the most of your time and live a life of no regrets. For now there will be mourning for the victims, healing for the community near and far, and a national conversation about how we want to live. More and more grassroots movement protests about gun-control are entering the scene including Moms Demand Action and Everytown for Gun Safety. As Elizabeth Banks said, we are beyond "thoughts and prayers," it is time for policy and change. This week has been busy. How is it that without ever really noticing our time gets filled up with all kinds of things. I'm not saying this is a bad thing, but it does make time go by quickly. 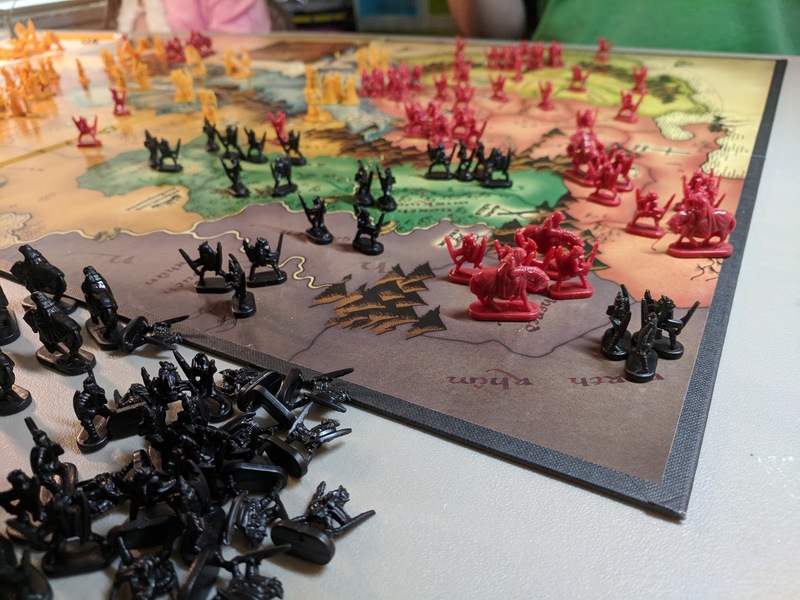 This week I caught up with some old friends, had a dentist appointment to adjust my braces, and led a craft in my daughter's Girl Scout meeting. It has been an exciting, though exhausting, week and I'm ready to take a few minutes to really appreciate what that means. Gratitude is such an important part of positive living. I am featuring what I am thankful for with the popular tag #ThankfulThursday. This helps me remember that all the busy can also be a good,positive thing. I hope that it inspires you to stop and consider what you are thankful for this week as well. It can be little or big, it all matters in the end! It has been gray and dreary in Seattle for over a month now. This week the sun has started to shine through the clouds. It is glorious! I can feel myself smile more. I'm still not running outside into nature quite yet because it is still ridiculously cold out. Nonetheless, I prefer to look on the positive side and be thankful for the sun and the energy it brings to me. It is also a beautiful beacon to assure me that spring is just around the corner. 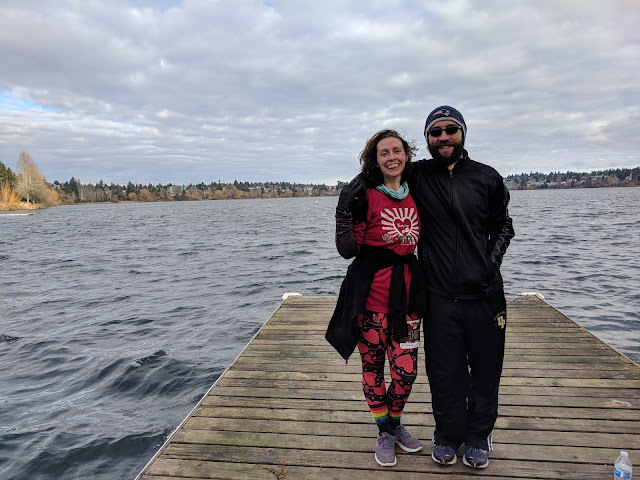 This past Sunday my husband and I both ran in Seattle's Valentine's Day Love 'em or Leave 'em 5k. It was such a great morning. Though it was freezing when we got there, we eventually warmed up during the race. It was at the end of the first mile when my feet finally thawed out and running became enjoyable. The 5k ran around beautiful Green Lake, so there was lots of scenery to admire and appreciate. I finished with a personal best, which in itself is call for celebration! These races always give me a boost in mood and attitude - that is The Power of Running for me. This race was particularly special because I got to share it with my husband. We even went out to brunch with a new friend. I am thankful to go out and enjoy the outdoors doing something that makes me feel confident and capable. 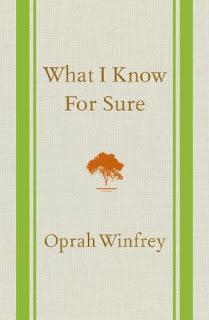 ...Oprah Winfrey's Book, "What I Know For Sure"
I started reading Oprah Winfrey's "What I Know For Sure" because it was next on my list. However, it came at a perfect time. 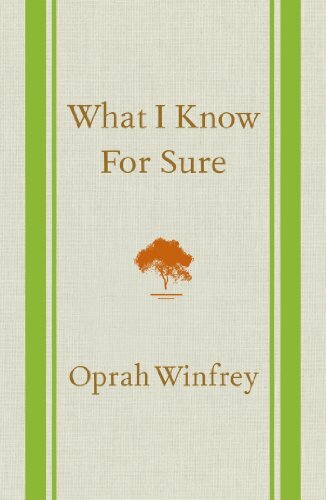 In this book, Winfrey tells stories about the things she knows for sure, like how to find joy, be resilient and even have gratitude for the big and small things. Especially since I am beginning to realize just how important that last one is, I am thankful for the positive inspiration to just keep doing my best every single day. I wrote about the benefits of Frankincense Essential Oil earlier this week, but that is because I am actively enjoying them myself. I needed the boost in relaxation and calm this week especially. That is the thing with being busy, it makes it harder to fit in those self-care moments. 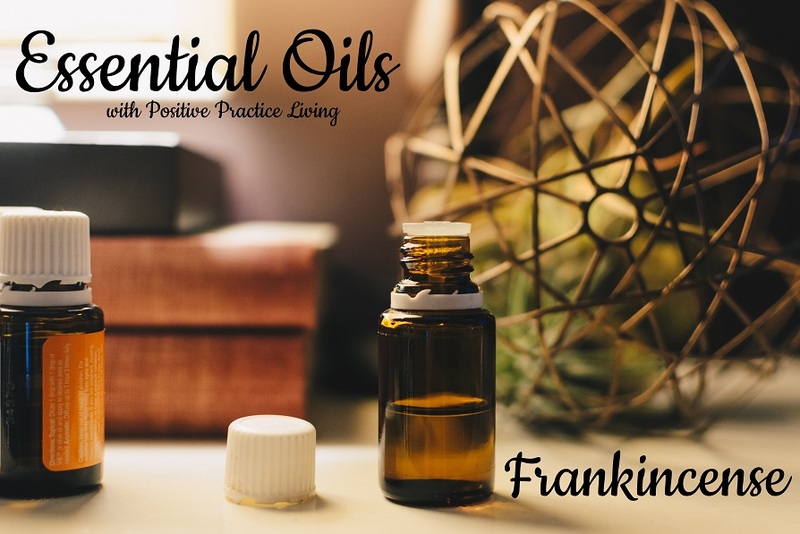 By adding Frankincense to the oil diffuser on my desk, I was able to appreciate the Earthy and uplifting aroma as I wrote, read and mediated throughout my week. 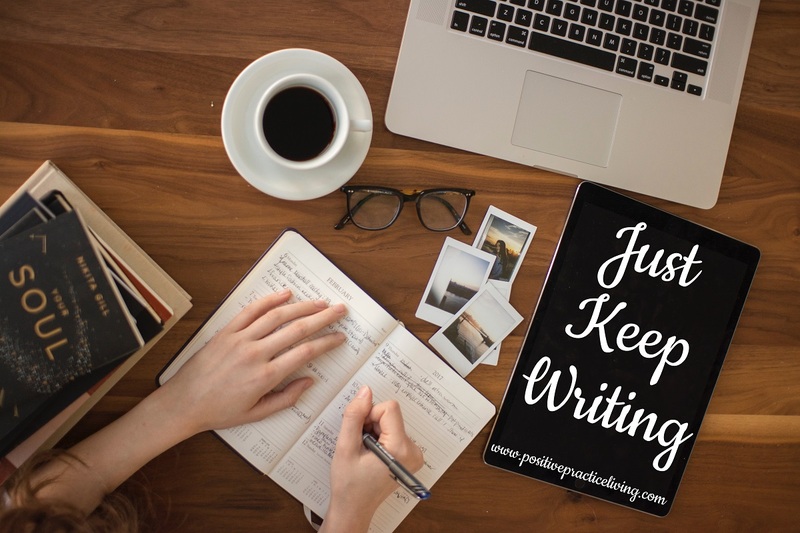 One of the things I love about blogging is making connections with other writers and being inspired through quotes, articles, pictures and more. Shelbee on the Edge is a fashion and lifestyle blog that I have gotten fantastic inspiration from, not to mention Shelbee is the nicest lady. Her article, "Running on Overdrive" has helped me out several times throughout the last few weeks remember to take a break and recharge when I begin to feel overwhelmed. Since I tend to get overwhelmed easily, I need all the advice I can possibly find. 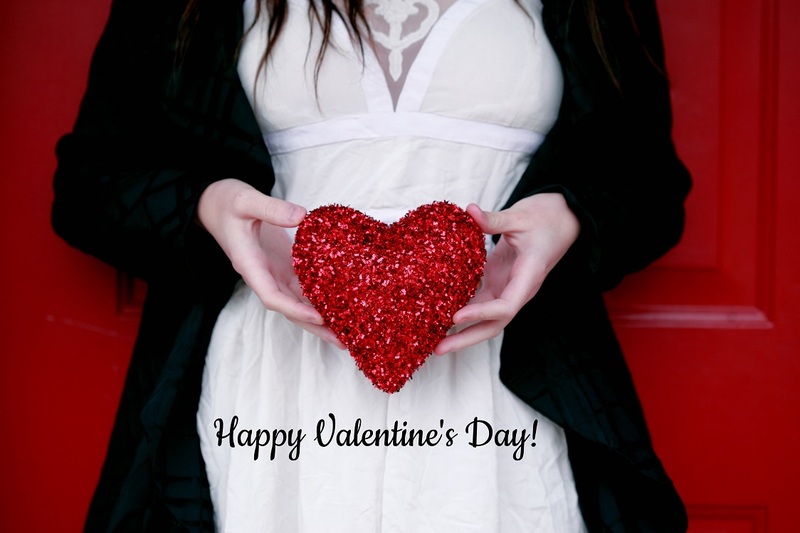 Check out her Valentine's Day Challenge to spread kindness and more from Shelbee on the Edge! May it be little things or big things, I am grateful. My goal is to seek out positive inspiration; I believe appreciation is a big part of that task. Enjoy #ThankfulThursday, a weekly periodical. I would love to hear what you are thankful for this week, comment below! 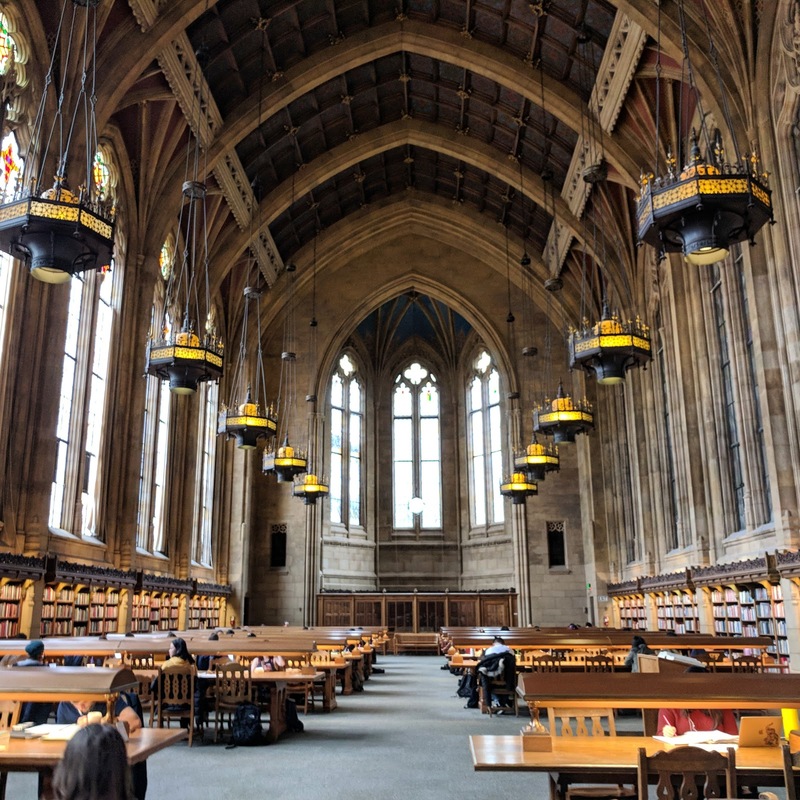 While visiting the University of Washington campus last week, I saw a study room that looks like the dining hall in Harry Potter. The architecture was breathtaking both inside and out. It felt light magic. I might have to sneak in there and study myself sometime. I'll pretend it is for a potions exam! Check out my TBB Asks: Love Edition in celebration of Valentine's Day. I like hugs better. There is something comfortable and steady about being wrapped up in someone's arms and wrapping your arms around them too. When you care for each other, you pull each other in. You can share emotion and joy through hugs. It is a way to physically connect with another person in a personal way. Of course, I do really love kissing my husband, so depending how you look at the question, that is a very hard choice between hugs and kisses. Flowers. They do not last long, they are a temporary thrill, but then again so is candy. However, there is a joy in flowers because they were once living. There is a connection with the brightness and presence of flowers in a room. I'm not a huge fan of candy. I have more trouble getting the sugar out of my teeth than is worth getting the small amount of euphoric rush candy can offer. Every once in a while I'll have a piece of chocolate or something, but otherwise it would probably not be eaten. Although, since I would not get anything for myself, either of them would be much appreciated as a gift. Then it is the connection with the giver that is even more important than the item in question. This one is hard for me. I am only recently appreciating the joy that can come with cooking. Baking has been a long held tradition with my mother and my own daughter. I would pick baking because of the memories associated with the process. I also really enjoy sneaking sugar cookie dough before I bake them in the oven. I have a secret love of biscuit dough too. Especially since my recipe calls for no eggs, I make excuses to bake homemade biscuits so I can taste test the dough. Of course cooking is much healthy for me, so I am appreciating it more and more. My first real kiss came from my first boyfriend. It feels more like a dream now, so I don't know how much of my memory is accurate. We were on a charter bus coming home from some band competition or trip somewhere. Michael and I were sitting together and holding hands. I know we talked, but I don't remember what about anymore. Once the lights went out to encourage all the teenagers to go to sleep while they drive, Michael reached up and took my chin. I was so nervous about being on a bus surrounded by our classmates. I'm sure he could tell because I remember him saying, "It's okay, no one can see us." And then our lips touched. I had no idea what to do. I'm sure I was a horrible kisser in those days. Together we learned how to make out. I don't remember getting much sleep on the the bus that night. I couldn't believe I was sitting next to someone who would want to be so close to me. That was a powerful realization. For our wedding, I had a dozen white roses tied in a tight bouquet. It was the most beautiful set of flowers I had seen. It was exactly what I wanted. I love the simple beauty. So white. Probably the same reason I love Vanilla Ice Cream and plain sugar or shortbread cookies. There is so much flavor and sweetness--the same simple beauty as the white roses. I think conversation hearts are fun as a prop. I wouldn't actually eat any of them. See up above where I mention its too much trouble to scrape the sugar off my teeth than I would enjoy the experience of eating them. I think they are fun to exchange with friends, for silly games and to put in bowls for decoration. Conversation Hearts, Maybe? I suppose I do. Not often really, but once in a while I would stick a note in my daughter's lunchbox just to say I love you in the middle of the day when I don't see her. I used to send my husband notes when we lived in different states for a while before we were married. I'll draw a heart or a funny picture on the white boards we have around the house for memos and family planning. I don't think of it being a sappy love note thing, but I do like to leave mementos to let my family know I love them. So yes, I do leave love notes because to me that is the very essence of what love is, saying I see you and I am glad you are here. 8. 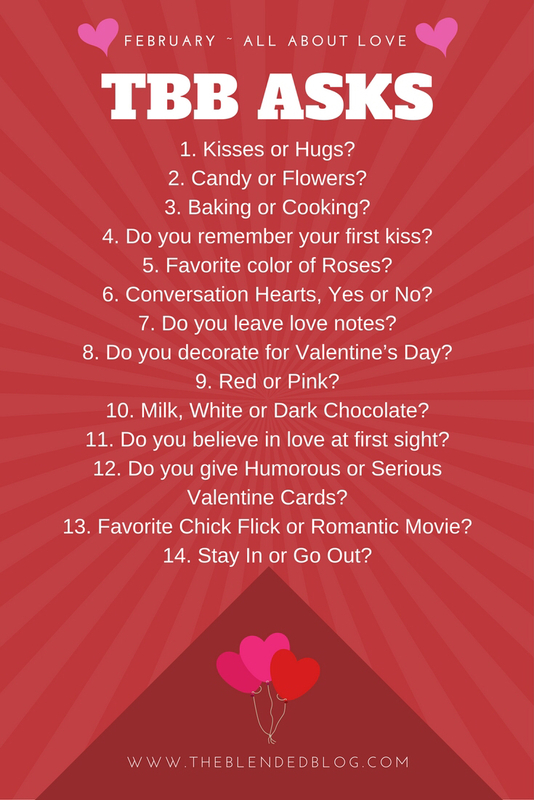 Do you decorate for Valentine's Day? No, not really. We have heart wooden wreath for the front door, but I haven't changed that door sign since last summer. I haven't really even thought about it. I suppose we have in the past, but these days we do as much out of our house as we do in. We aren't putting as much time in decorations. We did for Christmas, but that was because it stayed up for several weeks. We didn't for Halloween or thanksgiving either. We still celebrate Valentine's day, though, with little notes and pancakes shaped like hearts. We might turn our rice red or just sit on the couch together and watch a movie in the middle of the week. Red. I love red lipstick. At some point after we moved to Seattle, so about two years ago, I decided I was going to wear red lipstick and stand out more in a crowd. It has changed my world. Now I love an excuse to dress up a little and go out with red lipstick on. I'm not one to wear makeup often, but when I do it is because I want to feel more confident. Sometimes I will put on my makeup and red lipstick just to walk around downtown Seattle, especially through Pike's Place Market. White chocolate. I love the creamy sweetness of it. Have you ever tried Cookies and Cream Hersey's chocolate in a 'smore? It is the best thing. I love taking them camping and letting the flavor melt in my mouth. I believe that you can connect deeply with someone during a first encounter. I don't think it is so much at first sight, but as you talk and lean in to each other you can feel a connection very quickly if there is indeed one. That is how I met my husband. I saw him once before while he was moving into the townhouse next door to my friend. I was interested in the two guys moving in, but nothing exciting to report home. However, two months later on a Thursday night when my roommate insisted I come to her pot luck dinner, I made a profound connection with a man who is now my husband. I didn't know that I wanted to spend the rest of my life with him that night, but I knew I wanted to see him again. And I did, the very next day. And the one after that. Well, you get the picture. Within a week, I could see a future with him. A year later we were engaged, and a year after that we were married. That was ten years ago. I wouldn't call it love at first sight, though it is more or less what the idiom signifies. Very profound love can happen in a very short time and last forever. Of course, even this striking love needs to be cultivated and nurtured. 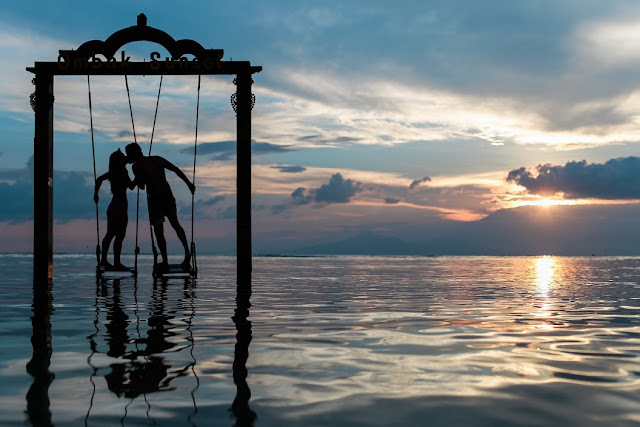 Communication and engagement with each other fills the connection that we all seek, to be completely accepted by someone and who you accept in return. 12. Do you give humorous or serious valentine's day cards? This is a fun question. I never really thought about it. I give very simple valentines. I don't think they are particularly humorous or serious. 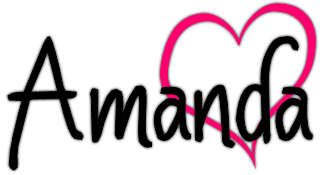 I like to cut out different size and color hearts and post them with I love yous on them. I'll bake my husband brownies because that is a treat that we do not do very often and he loves them. He might get me flowers, just because he knows I wouldn't get them for myself. I give our daughter little treats and notes during the day. The best part is that we will come together to do something special, just because its Valentine's day. I would like to have more of these special moments together, just because. It's these little connections and relaxation that keep us living a positive life and finding joy in the everyday. I like several. The Lucky One, The Last Song, The Notebook and Safe Haven, all Nicholas Sparks novels are some of my favorite Chick Flicks. I also love Wimbledon, with Kirsten Dunst and Paul Bettany. This is a trick question. I have an eight year old daughter, so the ability to really go out like on a date is limited to when she has another place to be or we get a sitter. I am grateful that we are able to do this fairly often, so when we can go out, we do. I love the energy of going out, especially when we try a new place. It also gives me an opportunity to wear my red lipstick. However, I also love just lounging around in my pj's playing games, watching movies, or whatever. If we could go out whenever we wanted, we probably wouldn't very often anyway. We enjoy hanging out at home together as a family and individually. We all need to recharge after being social all week, so we make sure there are down times too. Well, that was a lot of fun! Check out some more responses at TBB Asks: Love Edition.